Working as part of a growing team supporting the front office business we are looking for an experience credit modelling analyst to help develop and prototype methodologies for calculating PD, LGD, EAD and other IRB credit models. We are ideally looking for a smart, articulate, highly numerate person who has a minimum of 5 years experience in a wholesale banking environment. 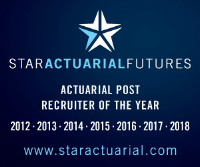 You must have a strong knowledge of internal rating based modelling, ideally with experience of developing IRB models for low default portfolios, particularly specialised lending portfolios and must have a strong understanding of the Basel II model terminology and how it is applied in practice. As this role requires regular interaction with senior managers from other areas of the business good presentation and interpersonal skills are as important as the technical requirements for this role and all candidates will be assessed on their ability to explain complex issues as part of the interview process.